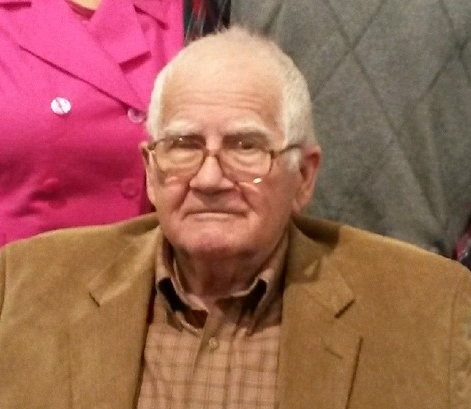 Mr. Billy Clayton Wolfe, age 87 of Dobson, passed away on February 11, 2019, at Hugh Chatham Memorial Hospital. Mr. Wolfe was born in Surry County on April 28, 1931, to Coley Edd and Laura Anna Bruner Wolfe. He was a life-long farmer. Surviving is a son and daughter-in-law, Keith and Joan Wolfe; grandchildren, Hanna Sain and husband, Brian, and John Wolfe and wife Ashley; great-grandchildren, Ben Sain, Jacob Sain, Evyn Wyatt, Xander Wyatt, and Aurora Wolfe; a sister, Gaynell Ring; and a brother and sister-in-law, Kenneth and Rhonda Wolfe. In addition to his parents, Mr. Wolfe was preceded in death by his wife, Mary Kathleen Johnson Wolfe; a daughter, Kathy Lynn Wolfe; a sister, Betty Lou Richardson; and a brother, Gray Wolfe. Funeral services will be held at noon, Saturday, February 16, 2019, at Double Creek Church of Christ with Pastor Michael Bigelow officiating. Burial will follow in the church cemetery. The family will receive friends at the church beginning at 10:30. Memorials may be made to Double Creek Church of Christ Cemetery Fund at 646 Double Creek Rd., Dobson, NC 27017.